Addressing the Techfest organised by the Indian Institute of Technology (IIT)-Bombay over the weekend, Sinha said the government is working on bringing in regulations for the drones sector which will help faster and better development of such technologies. 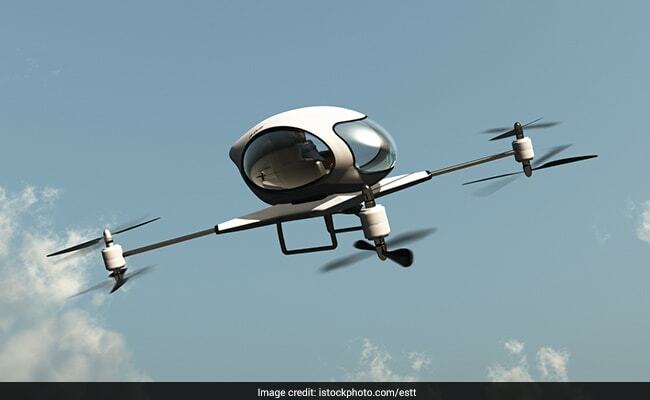 Mumbai: The passenger drones can help decongest the choked city roads and students from the premier IITs could do a lot in developing such tools, Minister of State for Civil Aviation Jayant Sinha has said. Addressing the Techfest organised by the Indian Institute of Technology (IIT)-Bombay over the weekend, Mr Sinha said the government is working on bringing in regulations for the drones sector which will help faster and better development of such technologies. "Drones are a massive opportunity. Like electric vehicles, drones will also use the same electric motors and batteries, but the only difference is that they will be in the sky. We are working on bringing in some set of regulations for drones that will help make the technology more progressive," the minister said. Noting that drones are being used extensively today for various applications like delivery, surveillance, and mapping, among others, he said, "People are now working on creating passenger drones. We also need to develop our own technology to grab the massive opportunity in this space." Mr Sinha further said that if developed efficiently, the passenger drones service can be priced on the lines of fares of the autorickshaws. He also said that there is a huge opportunity for inventions in the fields of electric vehicles and financial technology. Citing the example of the Aadhaar and payment app BHIM initiatives, Sinha said, "Financial technology is one area where there is immense scope for innovation. We can develop such financial products and services that will create sizable companies. We have the volumes and scale...we have to build on that." On the scope in electric vehicles market, he said, "We are the largest exporter of two-wheelers today. If we make progress in the electric vehicles field we can also be the largest exporter of e-cars."